The burdens of climate change will fall heaviest in developing nations and on groups that are already struggling. The majority of the population in Asia lives in coastal communities, many in developing areas, which may be displaced by sea level change. 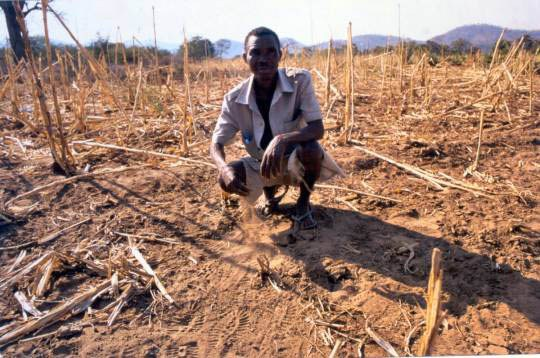 Struggling farmers on all continents will have to contend with desertification as their green fields turn dry and crops fail. Those living nearer to the equator, many in developing countries with little infrastructure, will experience heavier seasonal rainfall that will drop record rains, flood huge swaths of land, and threaten the lives of thousands of people. Climate change is driving outbreaks of diseases like Ebola through multiple mechanisms, including forcing farmers to abandon their crops and seek food further in the forest, increasing their chances of coming into contact with disease-carrying animals. Not everyone will lose out. As some lands become too hot and dry to produce food, production will shift further toward the poles, where warmer temperatures will make these areas more hospitable to crops. This is already happening; for example, wine grapes now grow in Iceland. Ultimately, these few benefits will not balance out with all of the other issues that countries will face. It is a global problem with global consequences, and a global solution – we must all commit to reducing emissions of greenhouse gases that are changing our planet. The ten hottest years on record have all occurred since 1998, and 2015 was the hottest year ever. A massive heat wave struck the Middle East and India during the summer of 2015 killing thousands across the region. The heat index in the Iranian city of Bandar Mahshahr reached a staggering 164ºF, just short of the all-time record of 178ºF, which occurred in Dhahran, Saudi Arabia on July 8, 2003. 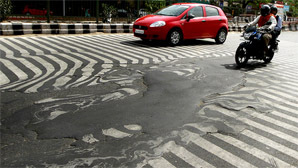 It was so hot that streets in New Delhi, India actually melted. The thousands who died tended to be people living in poverty who had no access to amenities like air conditioning. Rural Pakistan and those living on the streets of India were hardest hit. The consequences of climate change are numerous and far-reaching, and not always apparent at first glance. For example, as the sea level rises, coastal communities may be flooded and abandoned. This is already happening in the Maldives and other low-lying islands. The people that live near the coast will be forced to relocate. This is rather obvious, but it opens a Pandora’s Box of complex geopolitical issues and raises difficult questions: Where will they go when their home is under water? Whose responsibility is it to take them in? What about the strain this puts on resources in other areas? Are they still a sovereign nation if their land has disappeared? This complex problem has given rise to a new term – climate refugees. These are people who are forced to leave their home because the climate has made it inhospitable, whether due to drought, flooding, sea level rise, or other changes. We are still trying to determine how to recognize climate refugees and what to do in these situations. For example, the people of Kirbati, a group of islands in the Pacific, purchased land in nearby Fiji in case their islands become uninhabitable due to sea water encroachment. They will likely loose their sovereignty should they be forced to relocate to their land in Fiji. Extreme weather events and long-term droughts made worse by climate change can be devastating, and can exacerbate existing problems. Just look at Syria. A years-long drought devastated farmland and resulted in a mass migration to the cities, but there were not enough jobs and resources for the new arrivals, and this sparked a civil war that has cost thousands of lives and displaced millions of people. 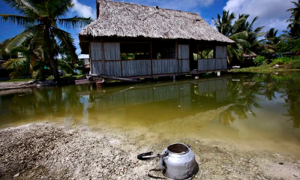 These displaced people are not just war refugees, but climate refugees, as well. Although people did not go to war over climate change in Syria, it definitely played a major role. This is why climate refugees may be difficult to recognize.